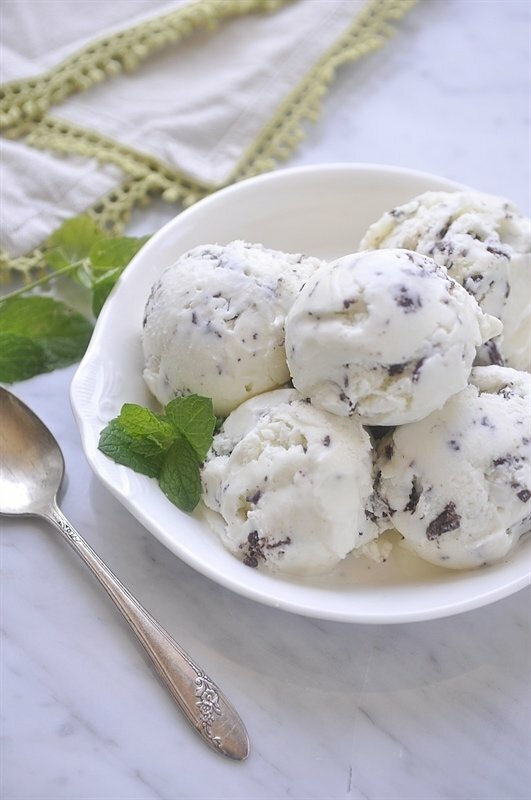 This Fresh Mint Gelato is a perfect summertime treat, but really, it’s good any time of year! I am officially declaring it ice cream week here on the blog. 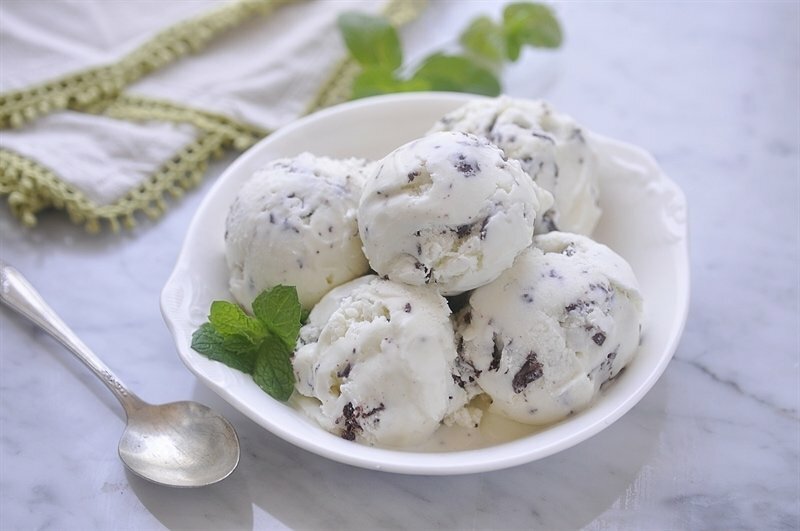 On Monday I shared a yummy roundup of 25 delicious ice cream recipes to beat the heat and today I’ve got another one for you. Be sure and check back Friday for another fun new ice cream recipe. We’ll be back to savory next week. 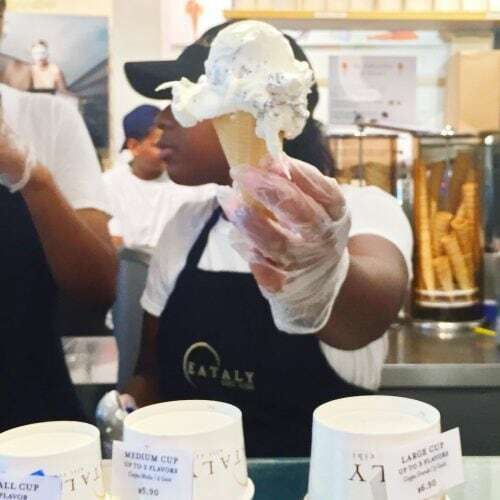 When I was on my recent trip to New York City I had to check out Gelateria at Eatlay. It was voted one of the 10 best Gelato places in NYC. Although it is the only one of the 10 I tried I have to agree it was pretty darn good. It was hot and humid while I was in NYC and some gelato was the perfect way to cool down. I went with the Mint Chip Gelato. So when I got back home to Portland I was thinking and craving some more mint gelato so I got to work and made my own. I had never made gelato before and basically it is made just like ice cream. The main differences between ice cream and gelato are that gelato has less fat and less air and usually uses fewer eggs. 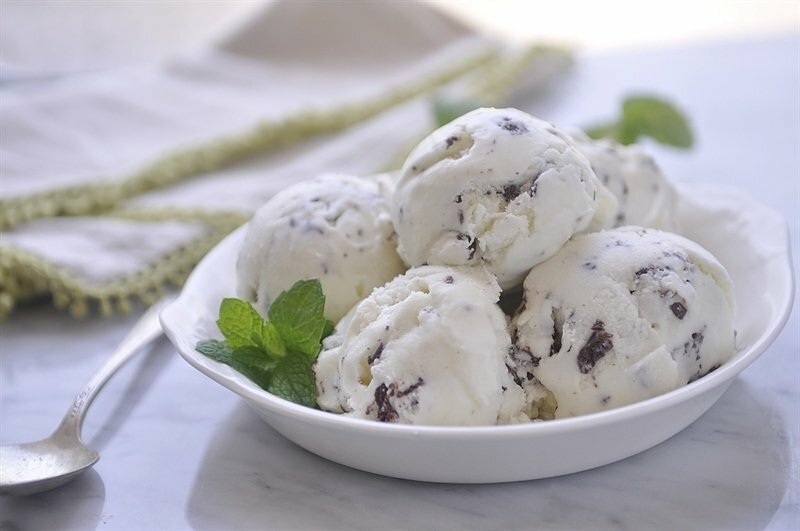 Gelato tends to have a more dense and milky texture. Basically though, gelato is just the Italian word for ice cream. 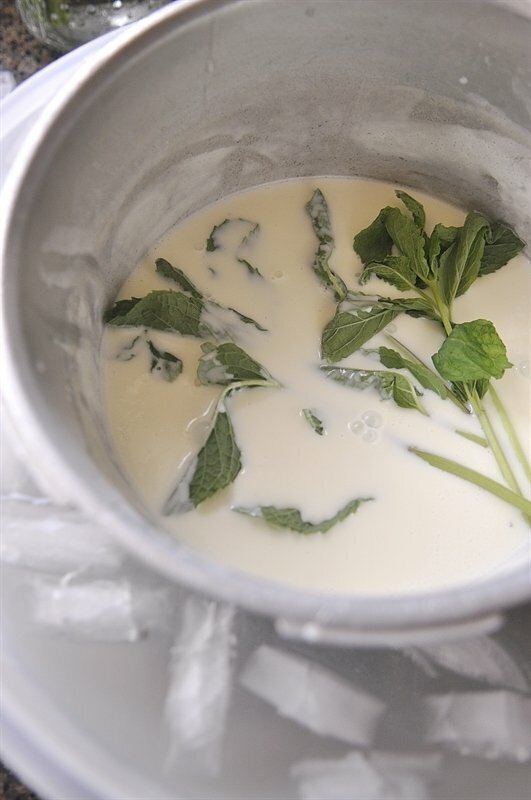 Today’s recipe is made with heavy cream and whole milk and is infused with fresh mint. Fortunately, I have mint growing in my herb garden but you can pick it up in the produce department of the grocery store too! Don’t leave your mint in your warm milk too long or the mint flavor may be overpowering. Fresh mint is definitely different than the mint flavor you will get from extract and I love it! I used my favorite Cuisinart Ice Cream Maker to churn the gelato. After the gelato is churned but before you put it in the freezer to set up you are going to add the chocolate. By stirring in melted chocolate it will harden when it hits the cold ice cream and turn into chocolate flakes and bits. Just use a wooden spoon to stir in the chocolate. I like to let my gelato/ice cream set up for a few hours in the freezer before digging in. In a large heavy saucepan, stir the sugar and cornstarch together. Stir in the cream and milk and cook over medium heat, stirring constantly for about 10 minutes, or until the mixture thickens and begins to bubble. Transfer the milk mixture to a glass bowl and add the mint. Set the bowl over a bowl of ice water to cool the mixture down quickly and stir occasionally until cool; discard the mint after 5 minutes. If you leave the mint in too long the flavor will be too strong. 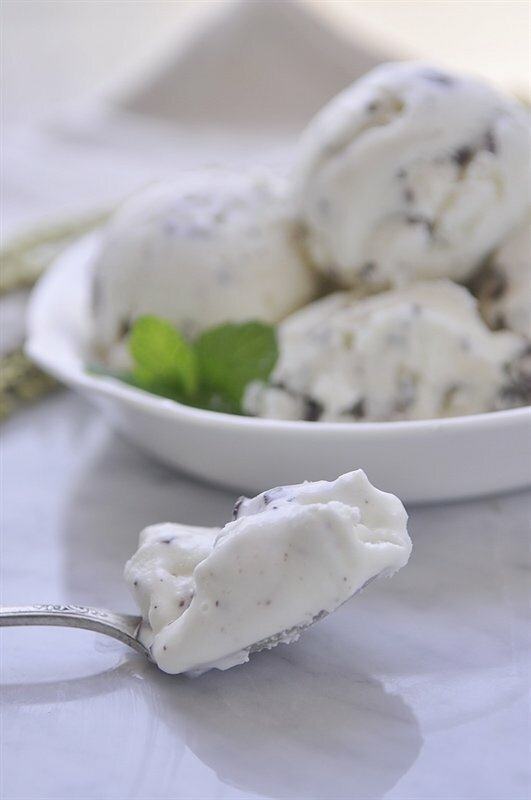 Cover the mint cream and refrigerate about 4 hours, or until completely cold. 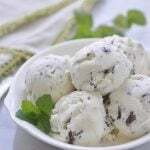 Freeze the mint cream in an ice cream maker according to the manufacturer's instructions until frozen. While the milk mixture is cooling, melt the chocolate. I did it in the microwave but can also done in an double boiler. Cool until the chocolate is barely warm and still fluid. Working quickly, drizzle the melted chocolate into the gelato while whisking or stirring vigorously. The chocolate will flake apart as it hits the cold gelato, forming bits of chocolate throughout, stir with a wooden spoon.. 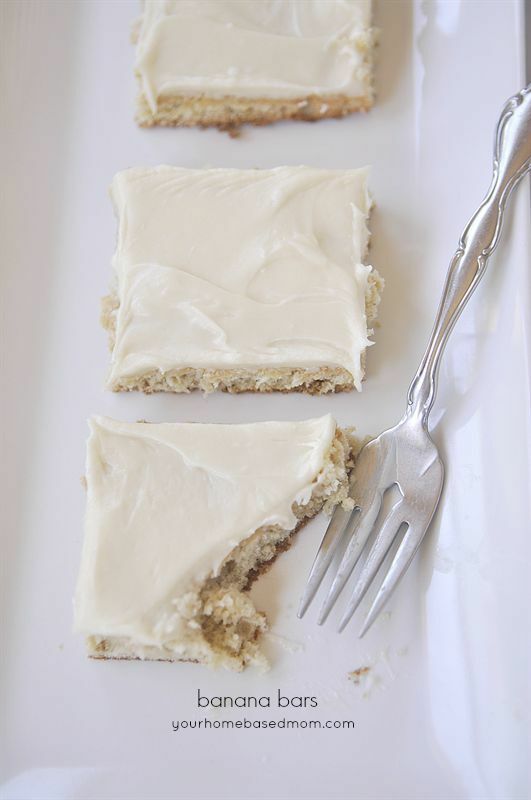 Serve immediately, or transfer to a container and freeze until firm, 3 to 4 hours. 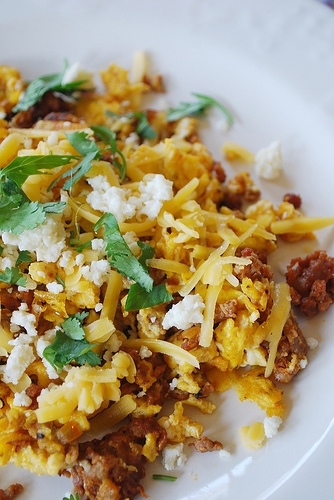 Recipe from adapted from Food Network. 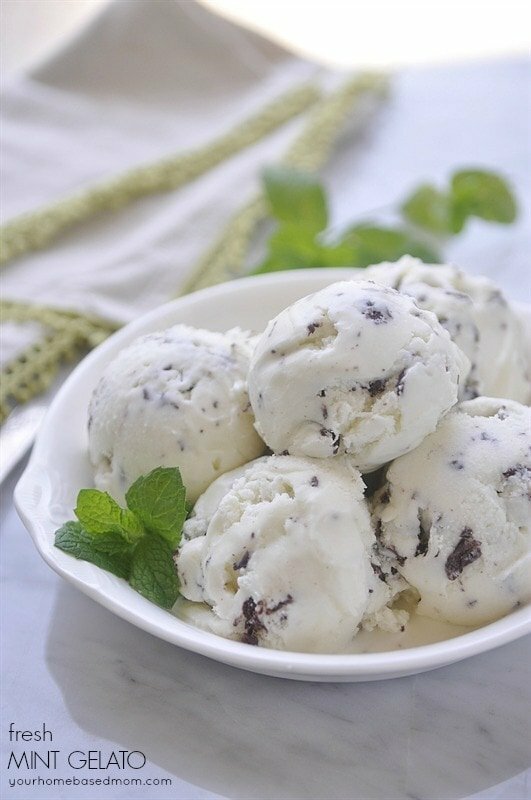 25 Ice Cream Recipes to Beat the Summer Heat!